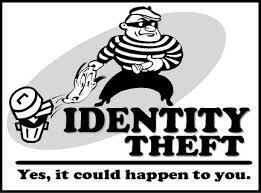 Identity theft has turned out to be a more common crime in the U.S.A. than any other country, especially with the usage of the internet. Accordingly, the crime has received more consideration along with harsher punishments in recent years. Still, on numerous occasions, these crimes are complex and often their definitions don’t portray the circumstances of the accused. For more than two decades, Attorney Michael A. Gottlieb, P.A. Broward Criminal Lawyer, has been utilizing an unparalleled criminal barrier to shield individuals from the harshest punishments possible. Our goal for our clients is to confront the charges and in hopes of dissipating all suspicion and accomplishing quittances. If you or your loved ones have been accused of identity theft, the clock is ticking and you need to move quickly. The use of personal information belonging to a minor. The use of fabricated (or counterfeit) personal information. The use of personal information belonging to a deceased person. Harassment of another person via the use of his/her personal information. The gain of money or property via the use of someone else’s personal information. Punishments for these crimes fluctuate. When they are exhibited in court, the extent of the crime and the estimation of the property stolen are normally the most urgent, while deciding the seriousness of the charge. For more information on what kind of punishment you may be confronting for your charges, call our office today. Once Michael A. Gottlieb P.A. is retained, you don’t need to spend another minute stressing over what your identity theft charge may bring. Are you a new client?Are you a old client?